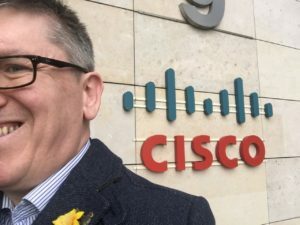 Working with the fantastic folks at Cisco, I was involved with a number of cutting edge projects that utilised the vast amount of data on tap in this organisation. The main project I was involved with involved was to provide a automated insights dashboard to Sales. This allowed Account Managers to see opportunities analysis based on a daily data processing result. Other projects included a pilot scheme looking into enhancing the customer experience through machine learning, sentiment analysis of various social media platforms & merging Cisco’s internal proprietary data sets with those mentioned above to gain whole new insights. Whilst there, Marketing kicked off their efforts to migrate some their call centres. I was asked to help prime the pump on this huge project. I was able to consolidate the existing twenty two work streams down into nine core ones along with setting in place the more traditional program items such as plans, road map, governance, RAID logs etc.